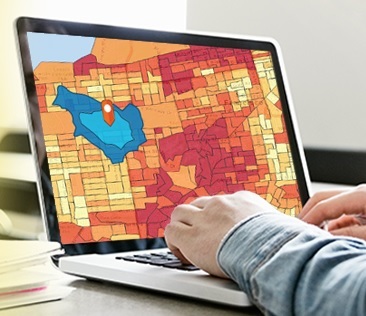 ESRI, the world’s leading GIS software producer, is offering a free online course teaching how to create custom Web apps on the ArcGIS platform. The course, Do-It-Yourself Geo Apps, will demonstrate how to combine location and narrative to build valuable geo-enabled apps to make communities and businesses smarter and more successful. Users can learn about the GeoDev community and the spectrum of resources ESRI provides for software developers. Discover the collection of application templates that can be configured as custom geo apps for storytelling and more. The four-week course includes seven sections with 1-2 hours of study per section. It includes hands-on exercises, short video lectures, quizzes, polls, and discussion. A certificate of completion and awards are also given. Registration for the course is open through February 17. The Ball State University Libraries’ GIS Research and Map Collection (GRMC) is a vital resource that provides comprehensive GIS support to the entire Ball State University community. The GRMC offers access to the leading GIS software and online GIS tutorials, datasets, online mapping applications, in-house GIS data, and one-on-one assistance from the GIS Specialist.